Boost your reading comprehension skills at home by downloading this app. Students will read both fiction and non-fiction extracts and then answer a variety of questions to check their understanding. Students use a virtual slate chalkboard to practice forming numbers and capital letters using the Wet-Dry-Try approach. Students first trace the letter with a wet sponge, then with a dry paper towel, and finally with a piece of chalk. 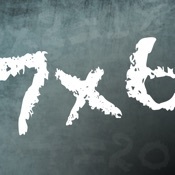 Train your brain to be better at maths calculations. It is a simple and fun game aimed at children. There are so many empty box questions you will soon be the best in the class! Think you know your times tables? How many multiplications can you solve in a row? What if time matters time matters? Train and challenge your friends or parents in a maths high-score competition! 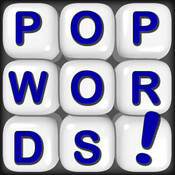 An app that is simple and an addictive word finding game. Students can find words as fast as they can from an endless stream of letters. Finding words fast enough to ensure that the game gets harder and harder as the time passes. Shake-a-Phrase is a fun language app for creative writing prompts, vocabulary, and parts of speech practice. Perfect for learning and laughing at home or on-the-go, it features over 2,000 words and definitions in 5 engaging themes for ages 8+. Grammaropolis is where grammar lives! Hailed as a Schoolhouse Rock for the 21st Century, Grammaropolis uses the parts of speech as animated characters whose personalities are based on the roles they play in the sentence. From the shady pronoun always trying to take the noun’s place to the motherly conjunction who just wants everyone to get along. Give it a go! This app is educational and fun. 101 spelling tests based on the order of teaching letters and sounds, beginning with s, a, t, p, i, n, m and so on, leading onto digraphs and trigraphs such as 'ch' and 'air'. Finally the spellings become more challenging, for example, the /er/ sound in 'earth' and the 'silent u' in 'building'. The player is encouraged to listen to the word and spell the word correctly, sometimes using capital letters too! 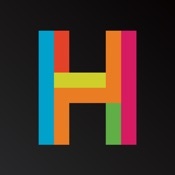 Hopscotch is coding made for you. Learn to code by making things you enjoy playing. With Hopscotch, you get a blank canvas for your imagination, a community filled with inspiration, and an audience to begin using your products the moment you publish them. 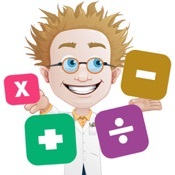 An app designed to develop mental maths and calculation skills. Race against the clock with your maths skills! Young learners excel in short bursts, so DK’s 10 Minutes a Day Times Tables app is the perfect introduction to maths for children. Times tables games take a short amount of time - maximum fun for maximum effect.